Co_Education : Yes , Total Enrollment : 5666, Motto :Opportunity is Here. 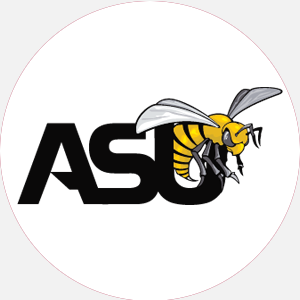 Alabama State University is a four-year, state-supported, coed, liberal arts university founded in 1…. Alabama State University is a four-year, state-supported, coed, liberal arts university founded in 1867 as Lincoln Normal School, a private school for blacks located in Marion, Alabama. In 1874, the state reorganized Lincoln to establish the State Normal School and University for the Education of the Colored Teachers and Students. Because of racial tensions in Marion, the school was moved to Montgomery in 1887 and changed its name to Alabama Colored People\’s University. In 1889, the name was changed to State Normal School for Colored Students. In 1920, the first instruction at postsecondary level was offered, and the institution became a junior college. The first bachelor\’s degree was awarded in 1931, the first master\’s degree in 1943. Between 1921 and 1954, the institution was reorganized as a four-year institution and changed its name three times: to State Teachers College in 1929, to Alabama State College for Negroes in 1949, and to Alabama State College in 1954. In 1954 the college was caught up in the famous Montgomery Bus Boycott and the direct action campaigns of the Civil Rights movement. Overcoming counteraction by state authorities and others, the college was granted university status in 1969 and adopted its present name. It was largely through the efforts of William Burns Paterson, who became president in 1878, that the institution became the first state-supported institution for the training of black teachers in the United States. During his administration, the school graduated its first 6 students. Regarded as the founder, Paterson led the University for more than thirty-seven years through many \”insurmountable odds\” that threatened to close the school. As a state institution, the school\’s mission is to provide quality programs to any student who desires to pursue higher education for personal, occupational, or professional growth, regardless of socioeconomic status or racial, ethnic, or cultural background. The campus occupies 138 acres in the historic Centennial Hill area of Montgomery, Alabama. Across the street is the beautiful Municipal Oak Park, one of the few space transit planetariums in the nation. Two new facilities are the Tullibody Fine Arts Complex and the Music Hall. Alabama State University is accredited by the Southern Association of Colleges and Schools (SACS) to award the Associate of Science, Bachelor of Arts, Bachelor of Science, Master of Education, and Specialist in Education degrees. A high school graduate (or equivalent), with a minimum number of units to include: 3 English, 3 mathematics, 3 natural sciences, 3 social studies, and 2 foreign language. Proof of a recent physical is needed. A minimum of 68 credit hours and completion of the core requirements, including a computer course, are needed for an associate degree. A minimum of 128 credit hours and completion of the core requirement to include 6 hours of mathematics, 8 hours of science, and a computer course are needed for all bachelor\’s degrees. Campus Regulations: Class attendance required; 0 to register car; all resident halls are nonsmoking. Campus Services: Health clinic, personal and psychological counseling, career planning and placement, day care, student orientation, consultation and outreach, testing and psychological services, and religious activities. Campus Activities: Social and cultural activities include theater, band, chorale, orchestra, musical concerts, and a speakers series, featuring noted artists and professional groups. Students may get involved in the student-run newspaper and yearbook. Communication majors or volunteers may work in the student radio station, WVAS 90.7 FM. Leadership opportunities are found in the Student Government Association (SGA) or the various other interest clubs and organizations. Greek fraternities include Alpha Phi Alpha, Kappa Alpha Psi, Omega Psi Phi, Phi Beta Sigma, and Alpha Phi Omega; sororities include Alpha Kappa Alpha, Delta Sigma Theta, Sigma Gamma Rho, and Zeta Phi Beta. Honor societies are also represented on campus. August to May (semesters) Commencement and conferring of degrees: May One summer session. Associate Degrees: Business Administration and Management, Computer Science, Child Development Bachelor of Arts: Art, English Language and Literature, History, Journalism, Language Arts, Political Science, Public Relations and Organizational Communications, Radio and TV Broadcasting, Sociology, Spanish, Speech and Rhetorical Studies, Theater Arts. Bachelor of Science: Accounting, Biology, General, Business Education, Business Administration and Management, Business Marketing, Chemistry/Chemistry Education, Child Development, Community Organization and Resources, Computer Information Science, Computer Science, Criminal Justice, Early Childhood Education, Economics, Elementary Education, Engineering (dual degree), English Education, Finance, General, Health Teacher Education, Human Services, Information Sciences and Systems, Laboratory Technology, Marketing, Mathematics, Marine Biology, Mathematics Education, Mathematics/Engineering (dual degree), Medical Technology, Music/Music Education, Office Supervision and Management, Parks Recreation and Leisure Facilities Management, Physical Education Teaching and Coaching, Physics, Psychology, Public Relations, Radio and Television, Reading Education, Recreation, Science Teacher Education, Secondary Education, Social Science Education, Social Work, Special Education, Traffic Education. Master\’s of Education: Biology, Counselor Education, Early Childhood Education, Educational Administration, Educational Instructional Media Design, Elementary Education, English, Health Teacher Education, Instructional Media Design, Mathematics, Music Teacher Education, Physical Education, Public Administration and Services, Reading, Science, Social Science, Special Education, Specialist in Education. Master\’s Certificate: Counselor Education, Educational Administration, Elementary Education, Public Administration and Services, Secondary Education.